Hotel du Parc, recently refurbished in a modern style, offers elegant and well-equipped rooms in the heart of the Montparnasse area, close to Montparnasse train station.Rooms at Hotel Du Parc feature air conditioning, modern bathrooms And elegant living rooms in modern style. At this hotel by hours the staff is at your disposal 24 hours a day to help you organize your stay in Paris. 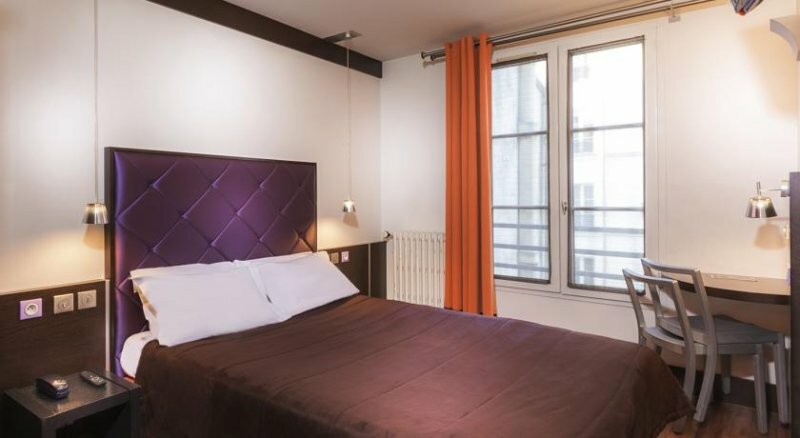 The hotel is centrally located in the lively Montparnasse district and offers easy access to the entire city thanks to the nearby public transport. Montparnasse - 14th district is a great option for travelers interested in seeing monuments, visiting museums and culture. This air-conditioned room has a flat-screen TV, parquet floors and a private bathroom with a bath or shower.